A one hour flight from the chaotic city of Bangkok, Chiang Mai is like a different world. In an area once known as the Lanna Kingdom, this capital of Northern Thailand moves at much slower pace, the air is cooler and the surrounding landscape is still covered in rice fields. 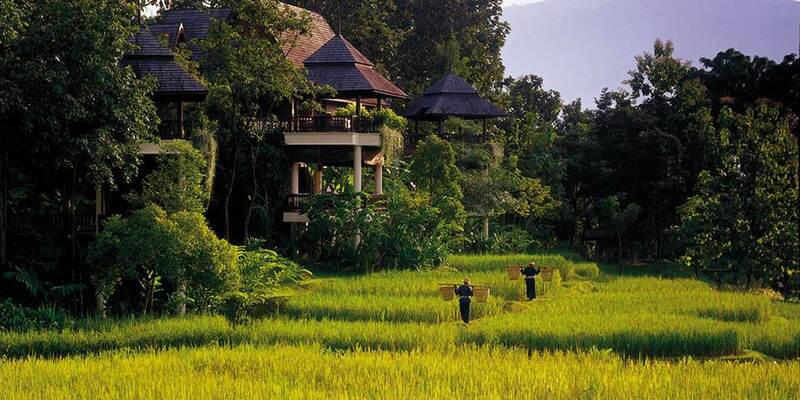 It is among these peaceful rice fields a mere 30 minutes from the airport and centre of town that the Four Seasons Resort can be found. 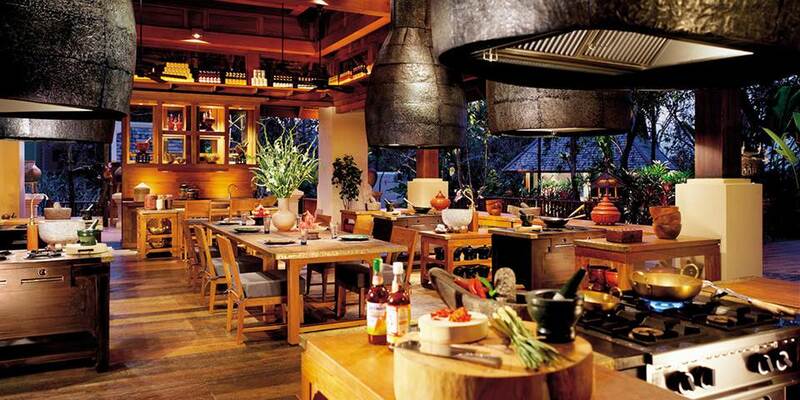 Dining at Four Seasons Chiang Mai is a gourmet’s delight, with a delicious mix of elegant Thai cuisine, Western favourites and Asian specialities on offer. Sala Mae Rim, with its Northern Thai artefacts, teak wood ceiling and sweeping views of the valley, is renowned for its Thai specialities. The Terrace, perfect for international and Asian cuisine, is in a stunning open air setting by the swimming pool and has fantastic views over the gardens and to the mountains beyond. For guests who want to learn how to cook the delicious cuisine of the resort, the renowned cooking school, set in a magnificent Lanna style building, gives both beginners and more experienced cooks the chance to learn the art of Thai cuisine. Those who wish to learn more should join the Chef’s Table one evening for dinner where they will enjoy both the preparation and eating of a delicious meal of 10 different Thai dishes. There are many cultural experiences in and around the city of Chiang Mai, but there is so much on offer for guests who wish to linger in the resort. Learn some of the Thai Language or even Thai kickboxing, known locally as Muay Thai, it offers a fun way to workout. A more gentle activity is to tour the gardens or learn how to plant rice, join the farmers in the resort’s paddy fields and see how they transplant the young plants from the seedbeds. Early mornings bring the opportunity of a balloon ride over the Ping River Valley to watch the sun rise over the beautiful temples of Chiang Mai. Fitness fans will be delighted with the Health Club and its state of the art equipment, steam room, saunas and 20 metre infinity pool, Younger guests are welcome at the Gecko Club which has a range of activities that will keep them occupied for hours. The Spa is a sanctuary for ultimate relaxation; a place where the therapists bring harmony to the body and spirit; native herbs, spices and oils are all combined in the treatments which are inspired by ancient Thai rituals. The luxurious accommodation is split between Pavilions, Pool villas and Residences, with all having Satellite TV, CD/DVD, iPod docking station and Wi-Fi connection. 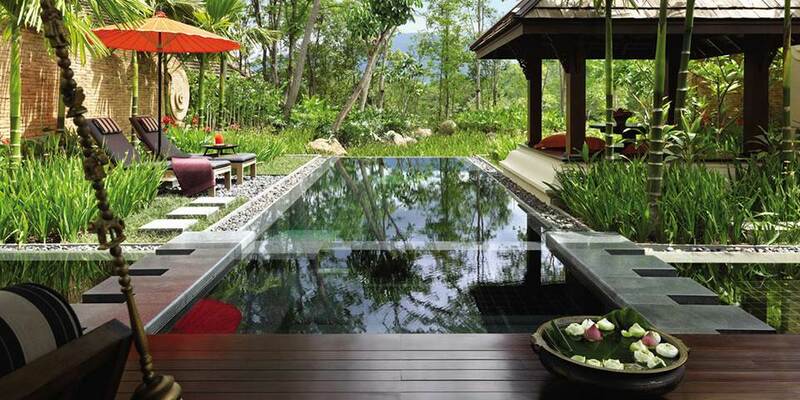 The Pavilions are housed in two storey clusters of four; each has a vaulted ceiling and is beautifully furnished with polished floors, rich Thai silk fabrics, and luxury bathrooms, outside there is a private Thai sala with daybed, dining table and chairs; a perfect place in which to relax and look over the gardens, mountains or the rice paddy fields. The one bedroom Pool Villas are extremely spacious and offer privacy, while still being close to all the facilities of the resort. 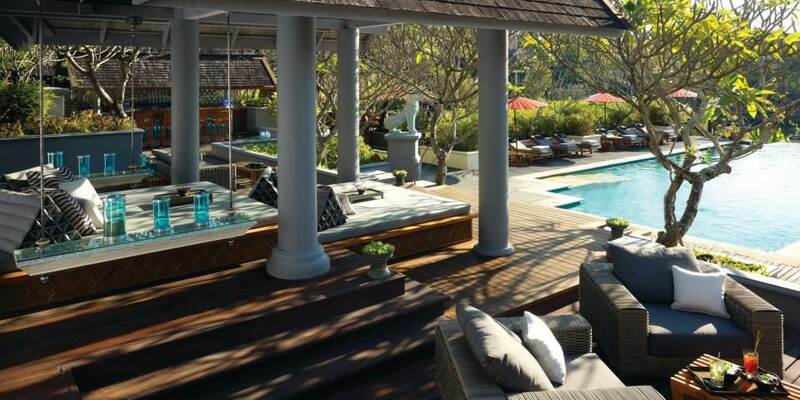 They have the same luxurious furnishings but with a much larger indoor living space; outside in the amazing 282 square metres of space there is a 24 square metre pool, private garden, dining pavilion and sundeck, all with views of the Suthep mountain range and tropical gardens. With the feel of a private home and perfect for families, the resort Residences which are located in three and four storey Thai style residences, have one, two or three bedrooms ; some have pools and all come with their own mae baan or housekeeper, on a live in basis; butler service is also available. The ultimate in luxury and privacy are the Two and Three Bedroom Residence Villas, with all the facilities of the resort Residences but covering two levels and decorated in teak and tropical rosewood; they also have an air conditioned living and dining area. Outside a 102 square metre pool, hot tub pool deck and patio provide ample space on which to relax and enjoy the scenery.